S&S 635G easy start gear drive camshaft set is are recommended for modified engines with larger displacement and higher compression. More torque and horsepower than bolt in cams can deliver. 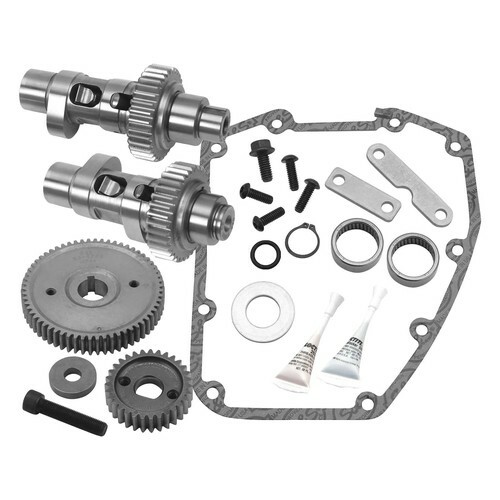 Complete kit includes cams with inner gears and installation kit. This cam greatly improves valve timing accuracy by eliminating timing chain lash and Easy Start Cams allow stock starter to start any engine. Product Note: Requires high lift springs, (sold separately).